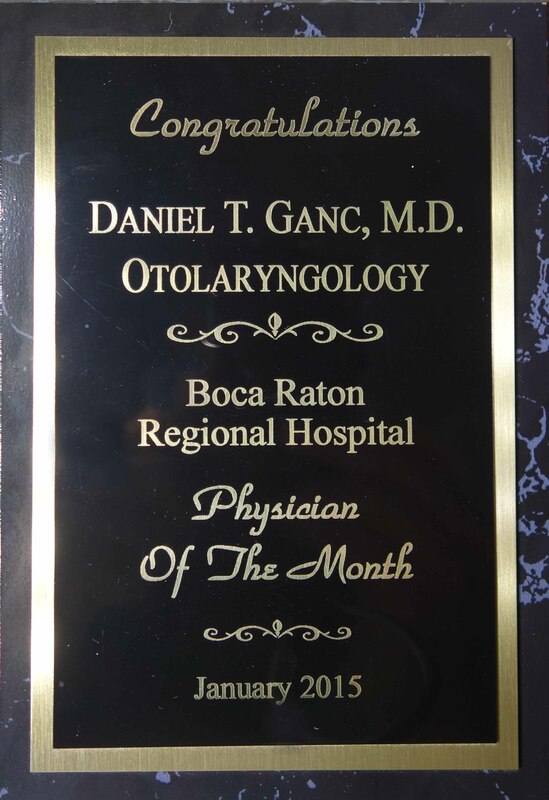 Daniel Ganc- Physician of Month- Boca Raton Regional Hosp. Dr. Ganc has been named Physician of the Month for January 2015 at Boca Raton Regional Hospital. He was nominated and selected by his peers for this honor.